Maxx Steele The Leader by CBS Toys. 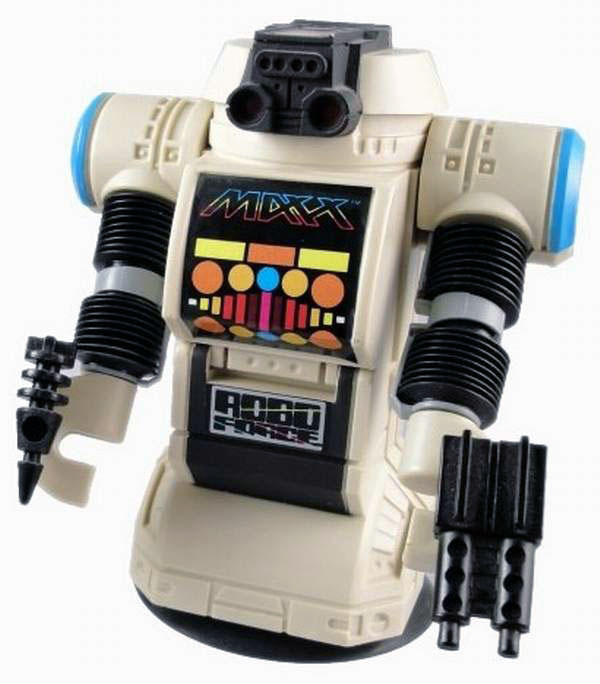 MAXX is the toughest of the tough and the leader of the Robo Forceâ„¢. With the motto "Any mission, any time, any place," his primary assets are his brute strength and his almost total invulnerability. His personal arsenal of attack weaponry includes a pair of laser hand weapons stored in his backpack and a back-mounted, swiveling double-barreled attack gun. And let no one - and no thing - doubt: MAXX is well able and prepared to use them! Made by Ideal.